One of the main things Charlie Sheen has been saying in his interviews (whether this be true or not is up for debate) is that he is the “Rockstar” of the show, and as such, has been mistreated and deserves more money. Would you consider yourself the “Rockstar” at your job? Do you feel like you aren’t being paid or appreciated at your true value? Don’t Get Charlie Sheened. Be sure you are getting what you are worth, if not in money, at least in appreciation and acknowledgement. If you aren’t careful, you could end up like Charlie Sheen, looking crazy for purporting your worth after a long time of not asserting it to your employer. He was already the highest paid actor on television...I'm not sure how under-appreciated it was. lol @ the inflated head comment. 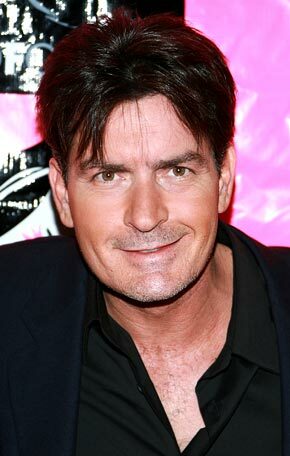 Indeed, Charlie Sheen is a special case. But, I do love the message of this post! Oh man, I heard about this on the radio today and shook my head, BUT apparently now he's trying to stand up for/help his coworkers get more $$$$ so that made me respect him. A bit anyways. I heard today that he has a "Michael J. Foxx" clause in his contract which entitles him to keep his salary as long as the show is in production, whether he's a part of the cast or not. He could very well be the craftiest crackhead ever:) Great post!